Pool Pumps Importance - Fort Lauderdale Pool Service – Fall in Love with your pool again! Anybody who owns a pool needs to retain the sanitation and health of their swimming pools. Along with specific pool supplies, a pool’s hygiene is guaranteed. One particular great example is a swimming pool pumps. Pool pumps are essential for the pool. To the majority of us, we do not see the greater part of the costly machinery inside a pool system. It is almost always hidden away in nearby pumps room. But, this is actually the pieces that helps make the pool work. So, if you don’t have one yet, better go get one. Listed here are five explanations why pool pumps are essential for the pool. Pool pumps circulate water inside your pool that conserves a constant motion. It helps prevent water borne ailments. Pool pumps make sure that all of the chemicals inside your pool work. You can read inside our blog more information about pool pumps. 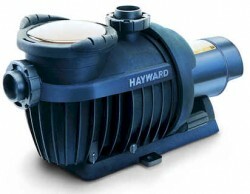 You can contact us if you want to install pool pumps for your pool. So if you wish to make sure that the pool is neat and safe for the users to go swimming, better purchase a pool pump at this point.